The People’s Bank of China (PBOC, 中国人民银行) is the central bank of mainland China. Founded in 1948, its headquarters are in Beijing. PBOC issues and circulates China’s currency, the Renminbi (RMB) of which the base unit is the Yuan (¥ or CNY) which translates into English as round. (Note: not a round in the traditional sense; these are legal tender.) 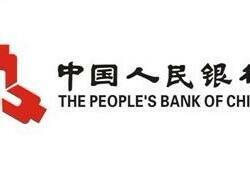 The People’s Bank of China is the largest public financial institution in the world (worth over $3 trillion USD), and is second only to the United States Federal Reserve in overall central bank assets. It is represented in the USA by the PBC Representative Office for America. Currency production is carried out by the China Banknote Printing and Minting Corporation in Beijing which has mints in Nanjing, Shanghai and Shenyang. Coins in circulation are made of aluminum, brass and nickel-clad steel. Banknotes have traditionally been more popular than coins but the government has recently appeared to be encouraging a change with the installation of machines across the country in which notes can be exchanged for coins. No official reasoning has been given. The People’s Bank of China issued its first Panda Gold Coin in 1982. It has since joined the American Eagle, Canadian Maple Leaf, South African Krugerrand and Australian Gold Nugget as one of the top five bullion coins in the world for investment. As an official currency, it is has face value in China, as does the Silver Panda which was first issued in 1989. These Chinese bullion coins come in weights of 1 ounce, ½ ounce, ¼ ounce, 1/10 ounce and 1/20 ounce with fineness in both gold and silver at .999. They depict the Beijing Temple of Heaven on the front and a playful panda bear on the back. The designs change each year but the craftsmanship does not, and both elements of the product are, without argument, of absolute superb quality. They are unique and treasured as collectibles and investment products. Late in 2015, PBOC issued a commemorative 10 yuan coin (and a 100 yuan banknote, which is the currency’s largest denomination) to mark its aerospace achievements and entry into space. Another interesting development from PBOC: as of 2016, the gold and silver Panda coins are no longer minted in troy ounces. They have gone (at least for now) exclusively to the metric system with gold coins offered in nine sizes from 1 gram (3, 8, 15, 30, 50, 100 and 150) to 1 kilogram, and silver Pandas in 30 gram, 150 gram and 1 kilogram sizes. The 30 gram size is very slightly less than one troy ounce. The troy ounce is an entirely Western construction, historically foreign to Chinese civilization. Indeed, Chinese investors shun the “Good Delivery” bar on the London Bullion Market in favor of 1 kilo bars, to the extent that some refiners, particularly in Switzerland, have been melting the 400 troy ounce bars into one kilogram bars with the Chinese customer in mind. Consult with Goldbroker.com’s investment experts about how to place these worthy Pandas into your portfolio strategy.